SYNOPSIS: Southwest Monsoon affecting Luzon and Western Visayas. Monsoon Rains - Metro Manila, Cavite, Batangas, Bataan, Zambales, Pangasinan, Benguet and Ilocos provinces will might have experience a possible flooding or landslides due to moderate to occasional heavy rains caused by Southwest Monsoon. Monsoon Rains - Metro Manila, Cavite, Batangas, Bataan, Zambales, Pangasinan, Benguet and Ilocos provinces will experience a possible flooding or landslides due to moderate to occasional heavy rains due to Southwest Monsoon. 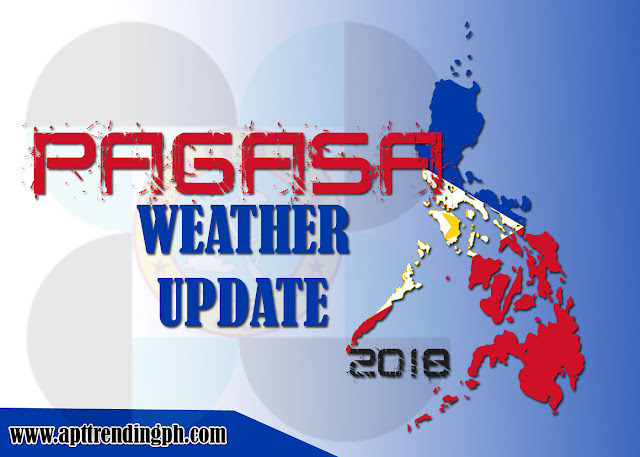 Mindanao and rest of Visayas will experience partly cloudy to cloudy skies with isolated rainshower due to Localized thunderstorms but has No significant impact.